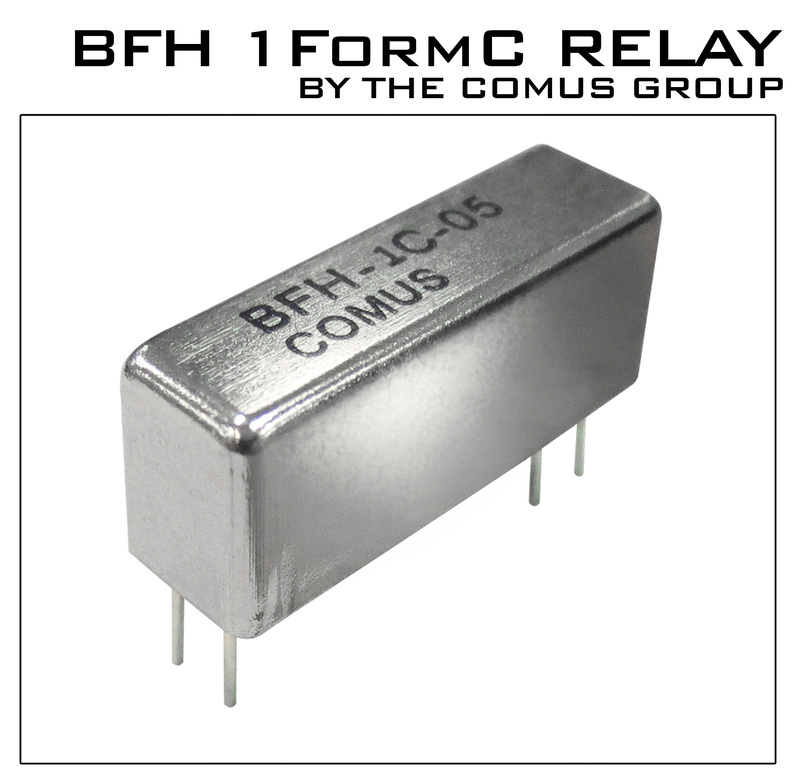 Comus International is pleased to introduce the newest addition to the BFH series of high reliability instrumentation grade multi-pole reed relays, the BFH-1C (1A/1B) relay. The new BFH-1C takes practical advantage of Comus’ vertical manufacturing capabilities. Our Comus Technology BV sputtered ruthenium reed switches are used exclusively and allow for the quicker lead times, superior quality, stable contact resistance and the very best in reed relay performance. The BFH-1C relays are RoHs Compliant built with a 10 Watt contact rating, industry standard footprints for drop-in replacement when refurbishing and servicing ATE load boards. Custom coil and pin-outs are also available. The BFH Series have a standard lead time of 8 to 10 weeks. 100 quantity prices start at $7.00 for the 1 Form C (BFH-1C-05).